Protecting your privacy: Hadley Holistic Health Pty Ltd (ABN 97 611 391 425). The mail address, PO Box 119, Burnside, South Australia 5066, Australia. 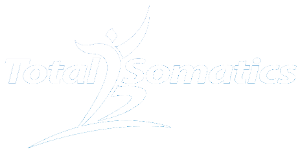 "Us, we, our" or “Total Somatics” are committed to protecting the information about you that we collect, store and use when you provide it to us at our website www.TotalSomatics.com. We manage your information in accordance with the Australian Privacy Principles set out in the Privacy Act 1988 (Cth). This document describes how we manage any personal information we have collected about you from the Website. 2.1 What personal information about me does Total Somatics hold, and how it is collected? The Website allows you to post and submit content, including photographs and images, height, weight, marital status, age, health status, fitness levels and nutrition details. You do not need to post or submit any content, however, if you do, we collect the information that you submit. 2.2 What does Total Somatics do with my personal information? send information about future events, regular email communications or newsletters (both electronic and hardcopy) outlining news, services or events. 2.3 To whom will Total Somatics disclose my personal information? If Total Somatics is involved in a merger, acquisition, or sale of all or a portion of its assets, your PII or other information may be part of the transferred assets. We use Google Analytics Advertising products: Remarketing with Google Analytics and Google Analytics Demographics and Interest Reporting. Google Analytics collects data about our site traffic via Google Advertising cookies and anonymous identifiers. Data collected via these Google products is not linked with any personally identifiable information you submit while on our Website. If you wish to opt out of the Google Analytics data collection, you may do so on Google's website at https://tools.google.com/dlpage/gaoptout/. Technologies such as: cookies, beacons, tags and scripts are used by Total Somatics and our partners (marketing and development partners), affiliates, or analytics or service providers (online customer support provider, email marketing system). These technologies are used in analyzing trends, administering the site, tracking users’ movements around the site and to gather demographic information about our user base as a whole. We may receive reports based on the use of these technologies by these companies on an individual as well as aggregated basis. Our Website offers blogs or community forums that may be publicly accessible (or accessible by other users of the Website). You should be aware that any information you provide in these areas may be read, collected, and used by others who access them. 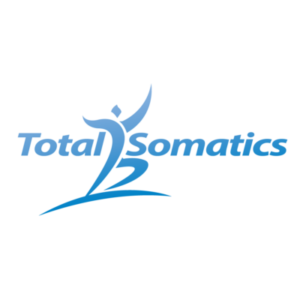 To request removal of your personal information from our blog or community forum, contact us at support@totalsomatics.com. In some cases, we may not be able to remove your personal information, in which case we will let you know if we are unable to do so and why. You may opt out of receiving promotional materials from us at any time by contacting us at support@totalsomatics.com, or by following the 'unsubscribe' link on the relevant promotional emails. Certain parts of the Website (such as those parts that require you to provide us with your credit card number) provides the ability for you to transmit information to our Website in an encrypted form by using secure socket layer technology (SSL). However, other parts of the Website are not protected by any form of encryption to protect information you send from your computer to us over the Internet. Further, no method of transmission over the Internet, or method of electronic storage, is 100% secure. In light of this, we cannot ensure or warrant, and do not warrant, the security or privacy of your personal information, including payment and account details. You transmit this information at your own risk. If you have any questions regarding security you can contact us at support@totalsomatics.com. It is your responsibility to advise us of any changes to your personal details to ensure we can keep our records accurate and up to date. If you wish to access the information we hold about you, please submit a request to support@totalsomatics.com or by logging into your account and making the appropriate changes. If you believe that the personal information we hold about you is incorrect, you are entitled to request amendment of such information. If we do not agree that there are grounds for amendment, then we will add a note to the personal information stating that you disagree with it. You may also request that we delete the personal information that we hold about you. Please note that if we delete your contact information, we may not be able to provide you with the subscribed service. If you have any concerns about how we handle your personal information or require further information, please contact the Privacy Officer at support@totalsomatics.com. Also use this contact if you no longer consent to receiving marketing material from us, or to the posting of your personal information on the Website. This document represents our policy as at 9th January 2017. We may change this document from time to time to reflect changes to our information practices. If we make any material changes we will notify you by email (sent to the e-mail address specified in your account) or by means of a prominent notice on this Website prior to the change becoming effective. Although we intend to observe this policy at all times, it is not legally binding on us in any way. From time to time we may regard it as necessary or desirable to act outside the policy. We may do so, subject only to any statutory rights you have under the Privacy Act or other applicable legislation. We encourage you to regularly review this statement to inform yourself of any amendments. Hadley Holistic Health Pty Ltd. (ABN 97 611 391 425). Mail address: PO Box 119, Burnside, South Australia 5066, Australia. Copyright © 9th January 2017. Hadley Holistic Health Pty Ltd. (ABN 97 611 391 425). All rights reserved.